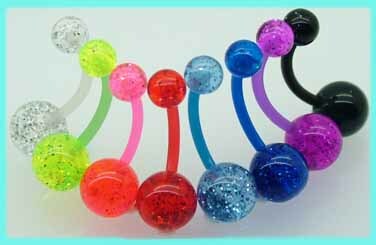 These 10mm plastic belly bars have glitter effect, UV glow balls and are available in clear, green, pink, red, light blue, dark blue, purple and black. The best eCommerce software by ShopFactory powers P8341. All-in one eCommerce and shopping cart software.